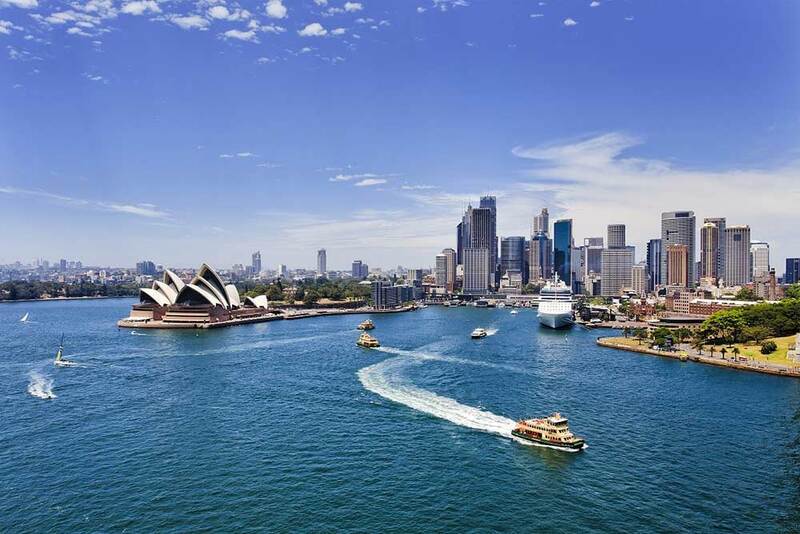 Australia’s largest city, Sydney is known the world over for its iconic Harbour Bridge and Opera House, but there’s much more to see here than just the impressive and ultra-modern urban sprawl. Within the city and its surrounding areas, you’ll find entertainment ranging from high-end shopping opportunities to global music acts as well as natural splendours including caves, mountain ranges and, of course, beautiful beaches. If you’d like to make the 23-hour flight from the UK to Sydney a breeze, you might want to look at business class flights to Sydney. At Just Fly Business, we remove the hassle organising affordable business class flights to Sydney. Simply get in touch with our travel specialists for help and advice, and of course great deals from all the leading airlines on your next business class flight to Sydney. Take a trip and fly in style with our business class flights to Sydney. With your own personal travel consultant for you or your company, we focus on finding you the best deals for flights to Sydney. We like to create long lasting relationships with our clients, and will do anything to make your trip easier and more comfortable. 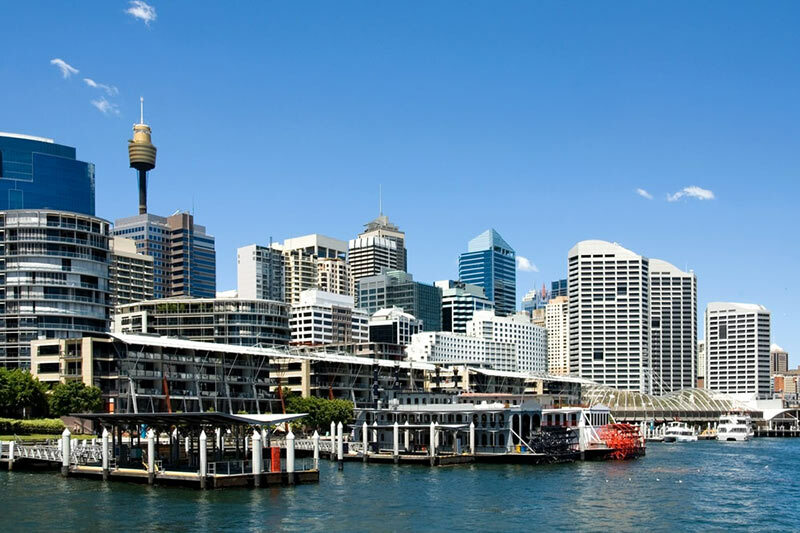 Cheap business class flights to Sydney are hassle-free; from business trips to luxury holidays, we arrange all the flights, airport transfers, hotels and car hire just for you. Sydney has so much to offer, you won’t want to miss a thing. As the most recognisable building in Australia, Sydney Opera House is a definite must-do. The multi-venue performing arts centre hosts everything from cabaret to comedy, as well as providing tours to take you underneath the magical world-famous sails. Perhaps the most iconic landmark of Australia, not only is it incredibly magnificent to look at, but the panoramic views from the bridge itself are like no other. For the adrenaline junkies, climbing the bridge is the ultimate thrill-seeking way to see the whole of Sydney. If you aren’t a fan of heights, then travelling by rail, car or bicycle may be a more relaxing way to experience the impressive structure. 12 miles long and 30 feet deep, if you’re going to see any harbour in the world, this is the one to visit. Displaying jaw-dropping views of the water, it’s the perfect place to go for an evening stroll, a midday ice cream break or to take an awe inspiring photo. As Sydney’s highest open-air experience and second tallest structure in the Southern Hemisphere, The Sydney Tower Eye with its 360° views makes you feel on top of the world. Do something different and book a morning yoga class – it’s a rare opportunity that you can exercise while watching the sun rise at 250 metres above the city. 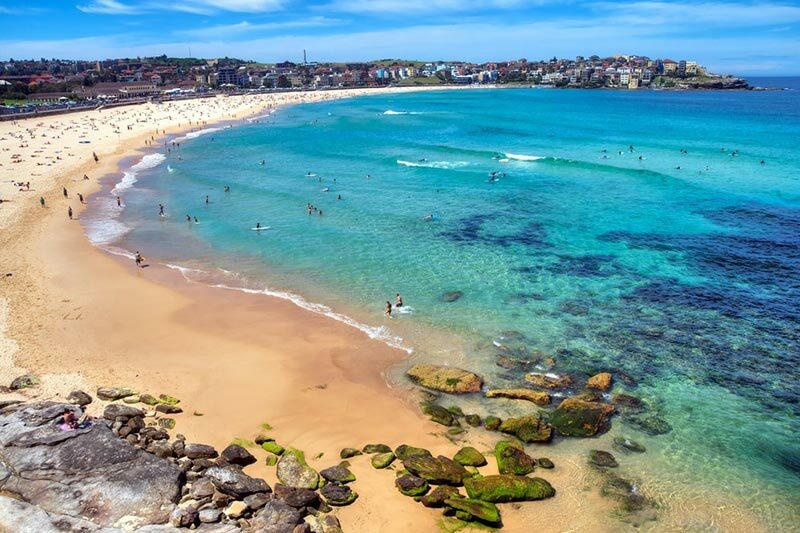 Showcasing Sydney’s glorious blue sea, Bondi Beach offers coastal walks, surfing, kite flying, coffee shops and weekly markets. If you time your trip wisely you can try to catch one of its unbeatable food festivals or skateboarding competitions. Despite the misleading name, The Rocks is actually a collection of cobbled streets and cul de sacs housing authentic cottages, elegant boutiques and old pubs. Popular with both locals and tourists, The Rocks are history-rich and home of ghostly tours and impeccable walking tours to explore the history. Celebrate a luxury Sydney holiday the way it should be, with a delicious meal. Boasting a certificate of excellence and voted second best restaurant in Sydney on Trip Advisor, Est delivers dining like no other. Expect to find freshly caught fish, tender meat joints and melt-in-your-mouth-desserts. It is the oldest museum in Australia, focusing on science, culture, education and animals. Take a tour around the museum on any day of the week, or attend a special event or exhibition to really dig deep into the background of Sydney. Embracing the natural beauty of Australia, the Royal Botanic Garden features a gorgeous array of colourful flowers and plants. Explore the garden with the free guided walk, hire a bike and cycle along the mountain bike paths, book a picnic shelter to eat your sandwiches in the shade or watch the birds from the Lake Nadungamba bird hide. There are 9 meeting rooms at Sydney Harbour Marriott Hotel, capacitating up to 250 people in the largest conference room. It’s in a prime location, with stunning views of Sydney Harbour, the Opera House and Sydney Harbour Bridge. Best suited to intimate meetings, this is a perfect option for those looking for smaller boardrooms in a boutique and glamorous hotel. Primus Hotel boasts a unique rooftop and terrace area, providing opportunities to take meetings to the next level and experience the great outdoors. This modern hotel offers 12 purpose built and versatile conference, function and meeting rooms. Novotel Sydney Central offers pillarless ballrooms which can hold up to 350 guests. Holidays to Sydney should be full of adventure, so if you’re visiting, why not venture out and investigate the nearby cities like Bankstown, Penrith, Randwick, Newton, Lindfield and Liverpool. These cities are only a short drive away from Sydney, so may be the ideal location if attending a conference there. So many people avoid flying from the UK to Sydney because of the long-haul flight. However, if you choose to fly business class, your holiday begins from the moment your plane departs. You won’t struggle to enjoy a sleep in privacy on your fully-reclining seat, nor will you go hungry when being regularly served with chef-cooked delights. Worried about being bored? There’s an endless amount of entertainment to enjoy while flying business class to Sydney, and it’s all at your fingertips thanks to your seat having a private, HD TV. Our luxury travel specialists make booking business class flights to Sydney straightforward, but they’re capable of so much more than that. We can help you book hotels, airport transfers, tours, parking and more, so get in touch with our professionals to learn more about what we can do for you. Prepare yourself for an unforgettable trip to Sydney by booking business class with Just Fly Business. If you have any special requests or need help tracking down the right flight for you, don’t hesitate to call us on 020 8417 1366. Make sure you check out our latest business class flight deals and last minute first class flight offers!